Prime Minister Benjamin Netanyahu refused a request by European Union Foreign Policy chief Federica Mogherini to meet in Jerusalem next week, causing her to cancel her planned trip to the country, Hebrew-language news outlets reported Friday. Mogherini, currently in Jordan, was set to visit the Israeli capital to take part in the American Jewish Committee’s annual Global Forum conference in Jerusalem, which begins Sunday. But her request to meet with Netanyahu on the sidelines of the conferences was reportedly turned down, leading her to cancel her trip. A top diplomatic source told Hadashot TV news Mogherini “was invited by the conference” and not by Israeli leaders. “Her positions are very hostile to Israel,” he added. 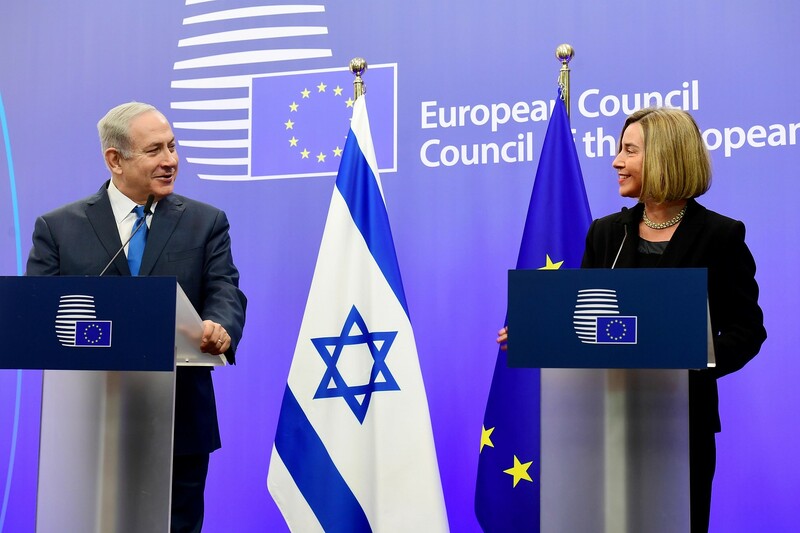 Israel and the EU have lately been at loggerheads over the IDF’s handling of mass protests and riots on the Gaza border, as well as over the US decision to unilaterally withdraw from the Iran nuclear deal. Israel has also hailed the US relocation of its embassy to Jerusalem last week, a move Europe has rejected and reportedly sought to officially condemn. Netanyahu has also fiercely condemned the European Union for its policies on Israel, including in hot mic comments last year that saw him lash European Union leaders for their “crazy” treatment of the Jewish state. Last month Public Security Minister Gilad Erdan, a top Netanyahu ally, slammed the EU, saying the bloc shouldn’t “get involved in internal Israeli matters,” after it called for an investigation of alleged police brutality against Arabs at a demonstration in Haifa. Netanyahu toured Europe this week, meeting with leaders from Germany, France, and Britain in a bid to rally support for amending the international nuclear deal with Iran and for pushing Iranian forces out of neighboring Syria. This entry was posted on June 8, 2018 at 4:34 PM and is filed under Uncategorized. You can subscribe via RSS 2.0 feed to this post's comments. You can skip to the end and leave a response. Pinging is currently not allowed. wit Hitler if possible ! has no honour / no shame ! Looking at EU one has to vomit ! The God of Israel is paying bach – good so, very good !